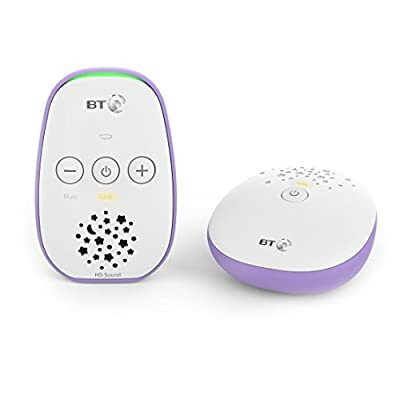 – The monitor enables you to maintain a secure and private connection with your baby at all times. 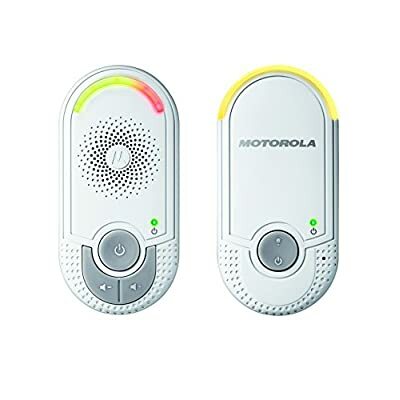 – Hear your baby with crystal clear sound quality. – The high quality LCD screen allows you to observe your sleeping or playing infant day and night. 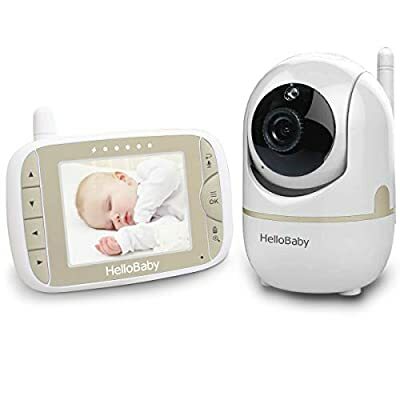 – The infrared Night Vision will automatically detect dim light, providing clear video even in dark rooms, so you will always know what your baby is doing. 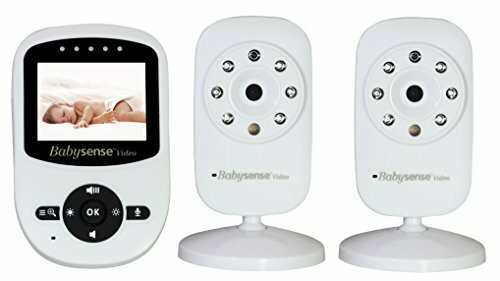 – Babysense Video Monitor can help you put your little one to sleep with pre-programmed lullabies and even lets you set up feeding/medication/diaper changing scheduled alerts. Rich Features – Auto Infrared Night Vision, Room Temperature Monitoring with High/Low Temperature Alerts, Eco Mode Voice Activation, Sound Activated LED Indicators, Alarm/Timer Setting, 2x Digital Zoom with Digital Image Pan/Tilt option, Multi-Camera Expandability (up to four cameras), Lullabies, Manual Pan (360 degrees) & Tilt (60 degrees), Auto Scan View, Tabletop or Wall Mounting Options.